Our little troupe of misfits are getting ready to attend FaerieCon East. 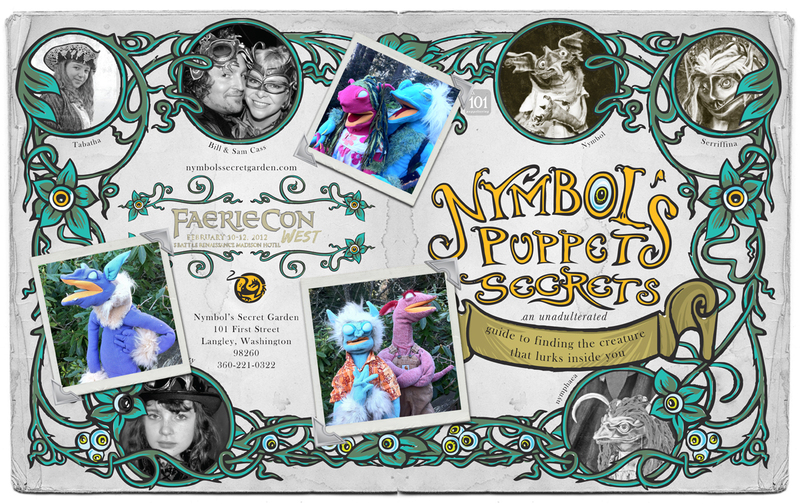 Below is a repost of an article for any of those who are wondering what we are going to do in the puppet making workshop there. Please read the write up below and look at the photos. We changed the class from a “show you how to make a puppet” workshop where you may or may not go home and make a puppet to a “finish a puppet and bring it home” experience. If you take the class please try to bring some baby clothes you minght find at your local thrift or something your child has outgrown. Size 6 months to 2 years should work. That “thing” that you have been holding on to for years and wondering what you are suppose to do with,….. bring it. It was meant for your puppet. Anything personal you can add to your puppet will only make it better. It must also be noted that SJ Tucker has a Croodyle named “Viola” and her boyfriend Ryan has “Red.” Red performed in our Midnight show at Faerieworlds this past summer and has his own wonderful redneck rendition of the witches spell from Macbeth. Maybe we can convince them to perform with us again at FC East. Original Post from February……. We have finished putting together our class workbook, concepts and puppets for our class. We are getting excited. It is time to dial in all the other details and pack. We are soooooo looking forward to not only that but roaming around with Nymbol and Caven with his video camera. It’s gonna be fun. If you are around please make sure you find us. I Think you will like two of our new friends below. We actually like the white eyes. kind of freeky. It means any where they look is where they are looking if you know what I mean. 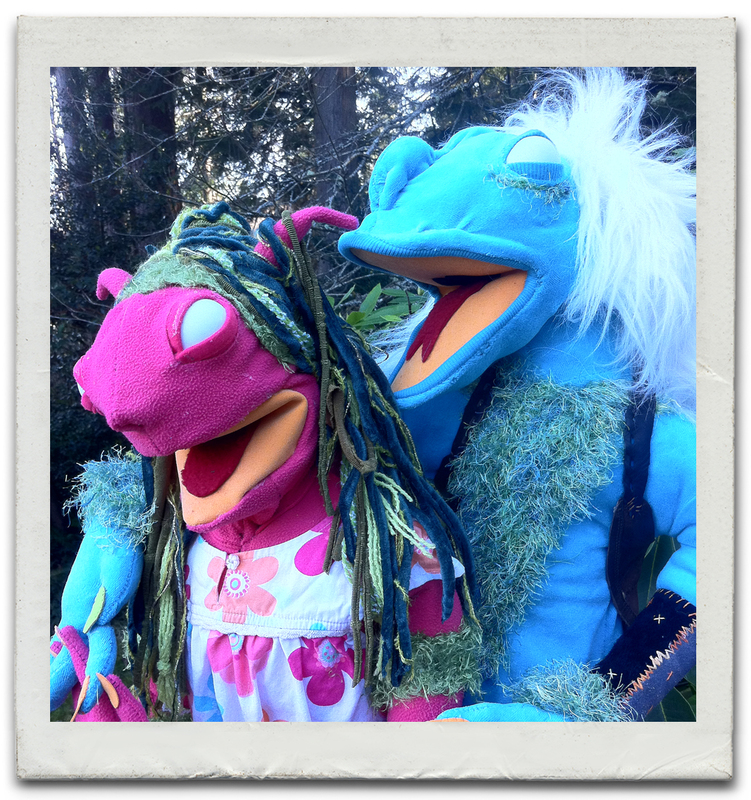 These new puppets are called nymbol Croodlys. This is the logic for the name. Creature + Hoodie + DYI . Plus to “croodle” means “to cuddle” in the urban dictionary. I find myself checking that more and more these days just in case. This was a positive check. 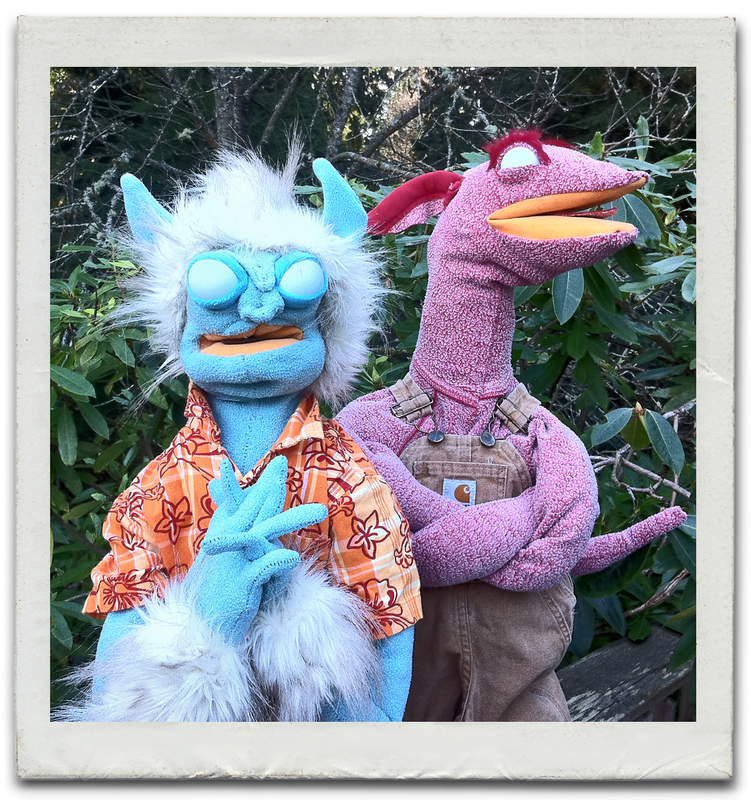 These functional puppets were created with the idea that they would look cool, be made from Recycled material, be inexpensive at about $5.00 a puppet and are fast to make. About and hour to get the basics done. The longest has taken 3 hours*. All the material for these puppets came from our local thrift store. The base for the puppet was a fleece hoodie just a couple hours before. The size is perfect to use almost any infant clothing you can find at the thrift too. Imagine my joy to find a $2.00 pair of carhart overalls. 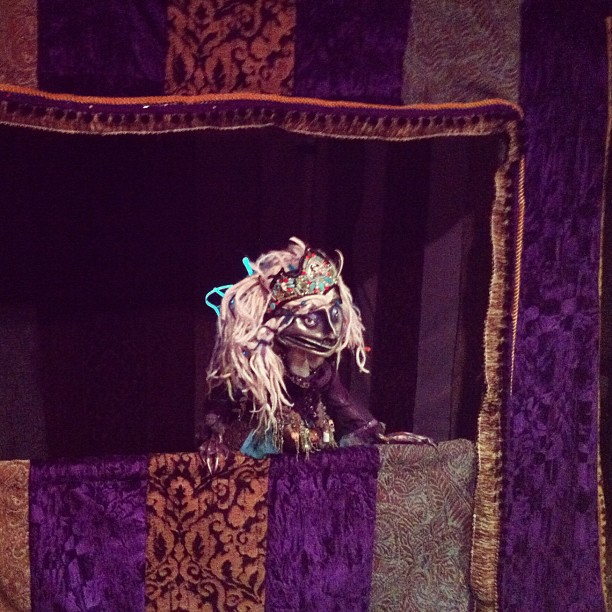 The bottom even has all those snappy things so it works perfectly for a puppet. We were playing with them tonight and trying to find some fun voices. Their personalities are coming out. *unless you are Sam and weave a bunch of hair for your puppet or make a custom vest and vambraces out of an old boot. A nike one I might add.